Welcome to the Shelby American Automobile Club. SAAC is an international organization that was founded in 1975. 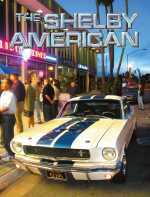 It was originally dedicated to the preservation, care, history and enjoyment of the world championship cars from Shelby American and the cars they have inspired from 1962 to today. Those goals have not changed. Ownership is not required for membership—just enthusiasm. Every large automobile marque has at least one organization for owners and enthusiasts. 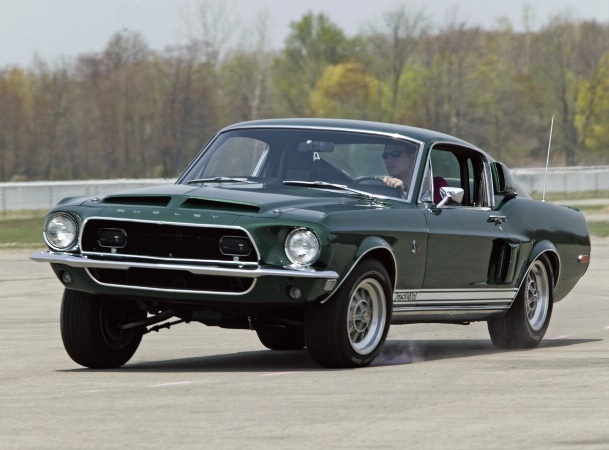 The cars that Carroll Shelby built between 1962 and 1970 are no different. SAAC has been in existence since 1975 and has published award winning magazines, newsletters and books since then. The club is recognized as the undisputed authority on the history and legacy of these cars. Carroll Shelby stopped building cars in 1970, but enthusiasm for them increased every year after that. The trouble was that, aside from a handful of owners, nobody knew very much about these cars. And even then, their knowledge was based only on their car and a handful of others they had seen. Shelbys and Cobras weren’t exactly plentiful. With everyone asking questions, one of the goals of the club became researching the production history and specifications of these cars and sharing what was learned with members. In the 1990s and beyond, Shelby became aware of the increased interest and subsequent rise in value of the cars and began building another generation of them—both Cobras and Shelby Mustangs. SAAC was originally set up to cater to the cars Carroll Shelby created and raced — Cobras, GT350s, GT500s and Ford GTs — but since its inception the club has broadened its parameters to accept virtually all high performance Ford-powered cars including Tigers, Mangustas and Panteras, Boss 302, 351 and 429 Mustangs, AC Mk IVs, Cobra 4000s, Mustangs of every year including the latest generation of Shelby GTs and GT500s, Griffiths, Italias, Galaxies, Fairlanes, Comets and yes—even Cobra kit cars. While SAAC does not accord "equal" status to all these other vehicles, it nonetheless welcomes them (and their owners) into the club. The reason for this is simple: SAAC has no ownership requirements, so in that sense everyone is welcome to participate. Many members own more than one hobby car and while that first car is usually a Cobra or a Shelby, often the second vehicle is some other Ford performance car. So it is the membership which has actually broadened the club's scope and determined what cars are accepted at club events. SAAC functions primarily through its online magazine, The Shelby American, which has been in publication continuously since 1976. The present version is published every three months and posted online; at the end of every year an Annual is printed comprising those four issues and is mailed to each member. Each Annual is approximately 300 pages. The club also has a communication forum (www.saacforum.com) which is accessible to the public. Since it was begun in 2007 it has had over 200,000 posts on more than 22,000 topics. This is where everyone goes for nit-picking information. If you wanted to know if you have the correct transmission in your car, what the original color is for a 1966 GT350 steel wheel or how to decode the stock number of a Holley carburetor, this is the place to go. It’s also where you can find a reliable restoration shop near you or just about anything else you can think of. Ask a question and you’ll get an answer. SAAC has hosted an annual national convention each year since 1976. They rotate around the country, usually centered in one of the club’s population centers. We’ve had as many as 5,000 people attending. The numbers recently are somewhat smaller but attendees are no less enthusiastic. 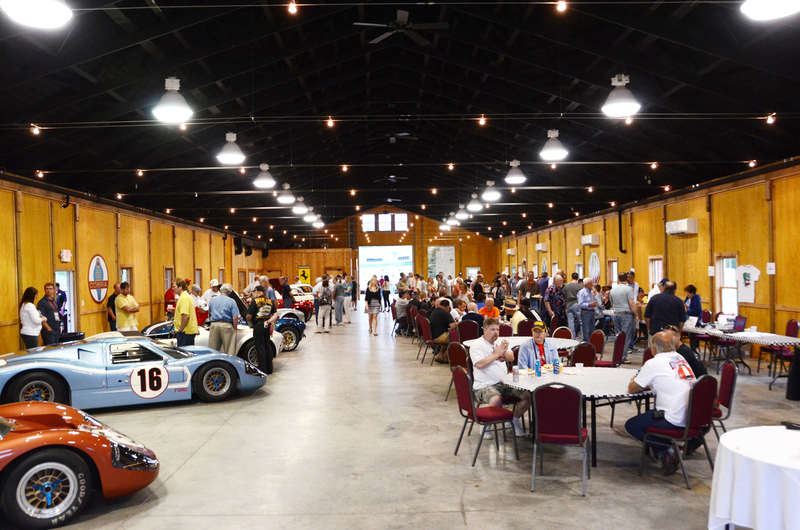 Conventions generally last three days and include activities like judged concours competition, a popular vote car show, swap meet, wheel-to-wheel vintage racing, the opportunity to drive your car on the track, and dinner and an evening program with guest speakers who were former Shelby American drivers, engineers, fabricators and mechanics as well as current-day racers, representatives from Ford and Shelby American, authors, artists and other notables. The club also has organized regions, which function on a grassroots level to provide members in close geographical proximity to one another with activities that can bring them together and serve to increase their enjoyment of these cars. Regions all have different levels and schedules of activities, depending on the desires of those in the area.